Lambda smart city-cut probe (450) 0.6 (450.333, 450.335) 45kw 61hp 01/2001> km. 12 months for professional use. This is an original part, it can be bosch, pierburg, valeo etc ... Contact us if you need to know the brand. Corresponds to the following references (oem). A0025402317, a0015409417, a0015407917, a0015405617, a0015403717, a0005409417, dox2007, 3122v005l02600, 3122v005l026, 3122v005l00800, 3122v005l008, 3122v004l008, oph034, 0824010319, a2c59513318z, es2031212b1, oza659ee42, oza659ee15, 0025402317, 0015409417, 0015407917, 0015405617, 0015403717, 0005409417, 0003122v005, 0003122v004, 0003122v003, 5099817aa, 0258006564, 0258006563, 0258006437, 0258006436, 0258006331, 0258006330, 0258006195, 0258006194, 0258006124, 0258006123, 0258006019, 0258006018. Please ask the invoice when buying. Delivery to islands, overseas destinations and other places may be more expensive. Purchase to accept sales terms available here. Do not hesitate to contact us for further information! To read the information about privacy click here. The item "lambda sensor smart city-coupe (450) 0.6 (450.333, 450.335) 45kw 61hp 01/2001 km" is for sale since Wednesday, February 14, 2018. 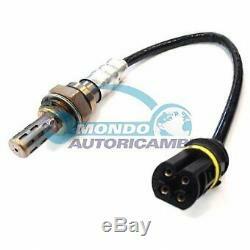 It is in the category "auto, motorcycle parts, accessories" \ spare parts \ emission systems \ lambda probes ".